..,…the ONLY Jewelry you wil ever need to wear! 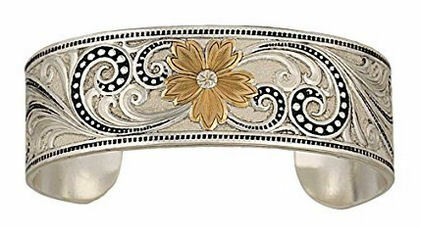 A silver finished cuff bracelet with a precisely hand painted backdrop creates a beautifully vintage looking piece. Materials: 99.9% finesilver and 14 karat rose gold plating over a brass base. Montana Silversmith presents the Women's Double Heart Bracelet. 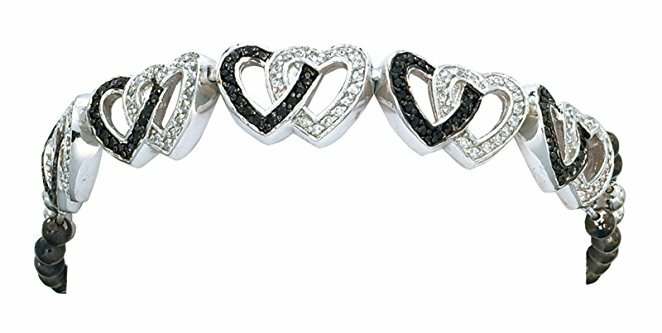 Black tones contrast with silver with interlaced hearts. Lovely! Ladies Two Tone Pink Cuff Bracelet appears to be braided and the pink contrasts with the black in a very stirking way. 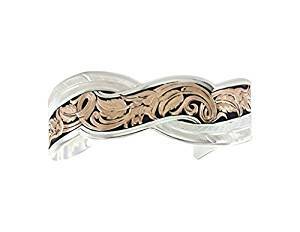 Montana Silversmiths Womens Crosscut Two Tone Starlight Ribbons Bracelet-Silver. The braclet almost has an Aztec look to it. 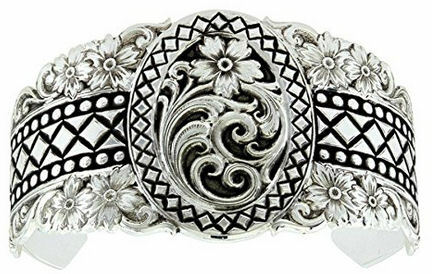 Montana Silversmith Wilderness Cuff Bracelet has a floral center with contrasting smaller engraved florals and a striking diamond black on silver pattern. Montana Silversmith Jewelry has a history of creating beautiful jewelry, with quality and care. Many of the pieces have inlaid cuts, carved like actual leather, as well as contrasting colors of black. Sometimes other colors will be added such as gold and for women, even pink. 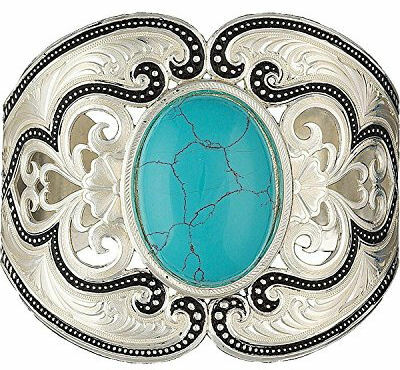 Because these color combinations are used so effectively in Montana Silversmith jewelry, you can be sure that you will receive a unqiue and genuine piece that is not just eye catching, but riveting. The bracelets in particular often show designs that look a lot like carved leather. Designs like these are not often seen in jewelry other than of a western genre. The bracelets are solid and sturdy and will tolerate some regular wear. Because they have no clasps, they can easily fit more than one size wrist. These bracelets have a silvertone finish and will not tarnish. Each of these Montana Silversmith Jewelry bracelets has a unique design not found anywere else. The bracelets are backed by their guaratee to be free of defects in basic workmanship. Over time and with heavy use, the silverplate can be worn. I found on my own Montana Silversmith Jewelry, I prevented this by taking care not to wear the jewelry when working where I might knock a bracelet against a wall or a desk. Because they don't tarnish, the care of this type of jewelry is relatively simple. Use a soft brush, and diluted soapy water (no harsh detergents), and then gently brush skin oils and dirt off of the bracelet. Wi pethe jewelry with a soft cloth and then air dry for a few moments before wearing or storing the bracelet. Doing this will prolong the life of your Montana Silvermith Jewelry and you will be able to enjoy these bracelets for many years to come.